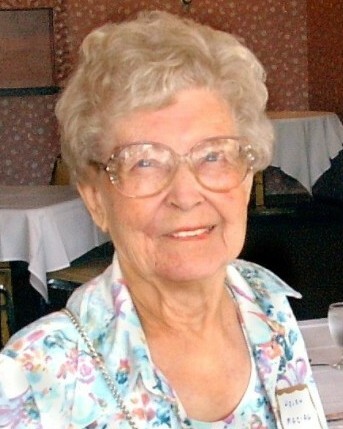 Helen Victoria (Chapor) Maciag, 98, of Plainville passed away on Monday, March 25, 2019, at home. Born in Montague, MA, on December 4, 1920, one of seven children to Peter and Hanora (Sobotouska) Chapor, she grew up and lived all of her adult life in Plainville graduating from Plainville High School in 1939. As a young woman Helen was an accomplished seamstress once making the wedding dress and all the gowns for her sister’s wedding. In midlife while working full time, Helen loved gardening and growing flowers which she used to become an accomplished amateur arranger and whose floral bouquets graced piano recitals of children conducted by a church music program. She raised gladiolus and blueberries for many years with the surplus up for sale at the roadside in the custom of an old fashioned farm stand. Helen always kept a playful Fox Terrier to look after and for company. She was 93 when she got her last dog, Crystal. She wanted a puppy and Crystal remains a rambunctious “puppy” that she loved dearly and who brought great comfort to the end of her life keeping her young at heart. Family and friends are invited to gather on Friday, March 29, 2019, from 5 to 7 p.m. at the Bailey Funeral Home, 48 Broad Street, Plainville. Funeral services for Helen will begin on Saturday, March 30, 2019, 8:30 a.m. at the funeral home preceding a Mass of Christian Burial at 10:00 a.m. at Our Lady of Mercy Church, 94 Broad Street, Plainville. Interment will follow at St. Joseph Cemetery.